Residents have leapt to the defence of their neighbourhood after claims “gang warfare” has broken out on its streets. A youth stands on the roof of a BMW in Blackpool Road, Ashton during a confrontation between two groups which halted traffic. And some claim the area does not have a problem with groups of young men roaming the streets looking for trouble. 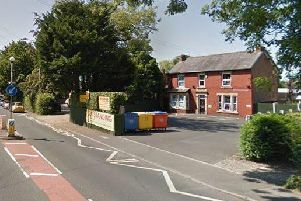 Footage of the incident, filmed on a Saturday linchtime in Blackpool Road, showed a bust-up between two groups of youths, some carrying sticks. It attracted hundreds of comments, with some residents saying trouble between gangs from Tanterton and the Savick and Larches estates was a problem.